℗ 2016 VOLBEAT under license in the U.S. to Republic Records, a division of UMG Recordings, Inc.
Volbeat introduces new bassist Kaspar Boye Larsen on Seal The Deal & Let's Boogie, the Danish metal band's sixth album. Larsen replaces founding member Anders Kjølholm, who left the group on good terms in 2015. 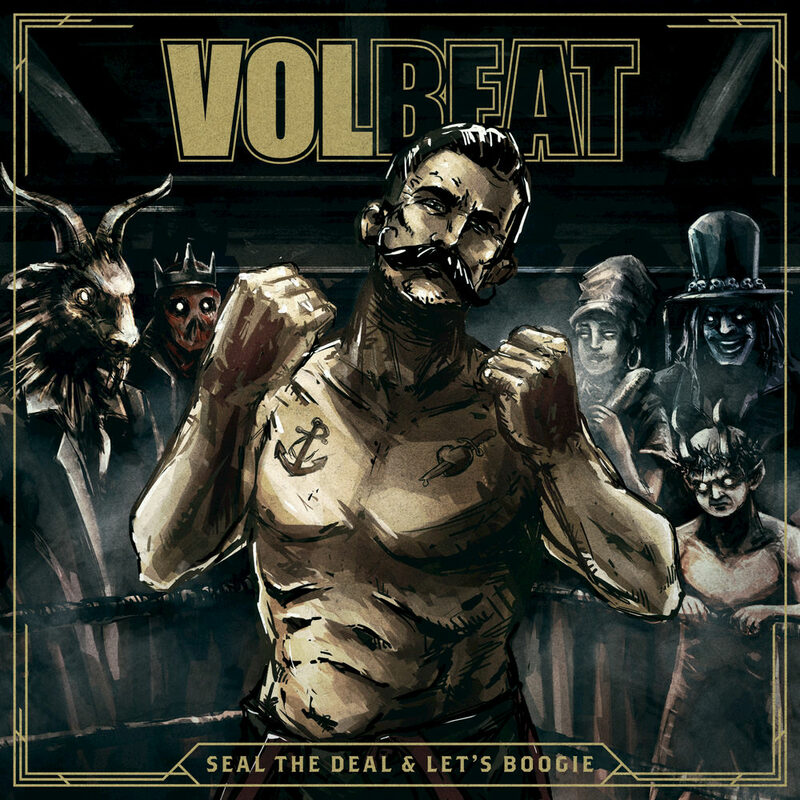 Seal The Deal & Let's Boogie follows a string of four consecutive number one albums for Volbeat in Denmark. This deluxe edition adds four bonus tracks, including a live version of The Devil's Bleeding Crown. "There's definitely some stuff that kind of weaves in and out of the record. You know, the last album was leaning heavily towards like the Western stuff ... outlaws and cowboys ... this is a whole different thing. There's definitely some cool characters and some voodoo stuff on this record, which I always found fascinating."